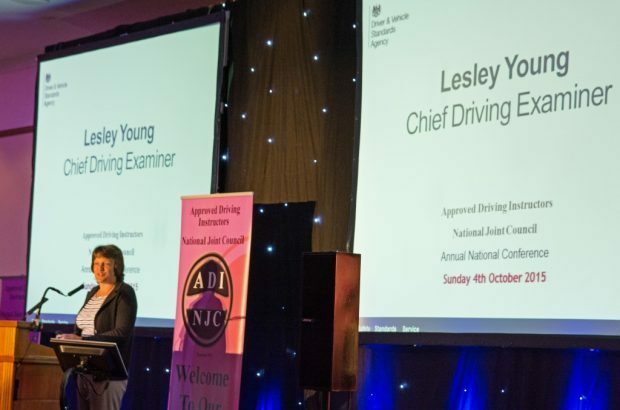 Earlier this month (Sunday 4 October), both Lesley Young and I attended and presented DVSA’s future plans at this year’s ADINJC Annual conference. Going to events such as these always gives us a good opportunity to meet new faces, catch up with the more familiar faces, and to get feedback on our plans and hear about any burning issues within the industry. As part of the update from the agency, I spoke about the government’s ‘Better Regulation’ agenda, which is about the government helping businesses and those that it regulates. ‘Better Regulation’ also looks to reduce the burden and cost of compliance, either by removing regulatory requirements completely or by having a more flexible approach. 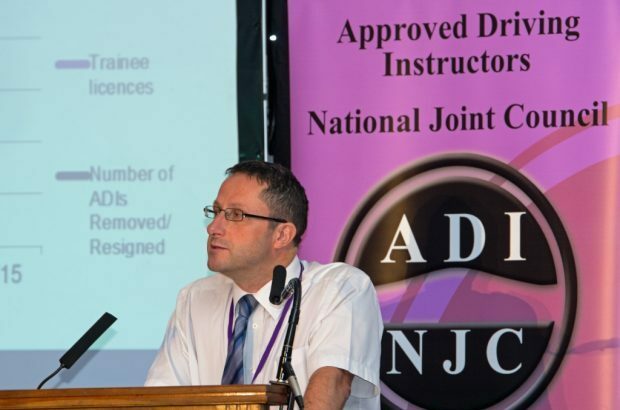 I also explained how this drives my own priorities as Registrar, saying that it’s probably right to have rigid regulation around the ADI qualification process. However, that there are opportunities for a lighter or more flexible approach for qualified ADIs who continue to improve their own standards and competence, while identifying and targeting the non-compliant or higher risk, smarter. An obvious example of this would be to be more flexible on when an ADI undergoes the standards check. 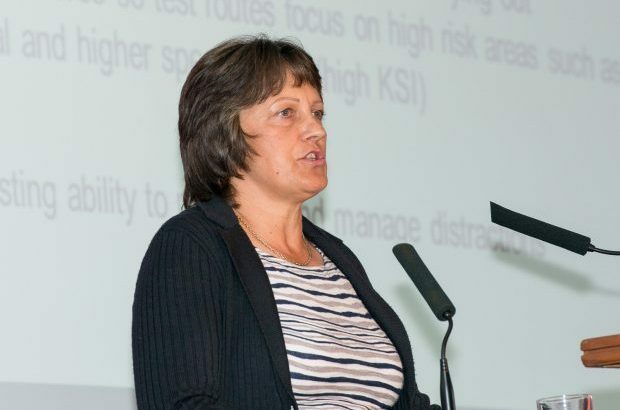 Lesley talked about the practical test review and development of the theory test, and in particular the opportunities that are opened up through the use of CGI in the hazard perception element of the test. This was received with great interest and there was much support for the development of clips that depict hazards relating to driving at night or in adverse weather. During ‘Question Time’, we dealt with a variety of issues that were raised. There were of course questions around waiting times. There are hot spots and we are taking a number of steps to rectify this, through the recruitment of more examiners. Whilst we welcomed the chance to take questions from the floor, we ran out of time. However, we’ve replied in writing to those that we didn’t get the chance to answer on the day. At the start of the day, we learned that ADINJC are sponsoring Disabled Motoring UK as their nominated charity. We heard from Helen Dolphin, Director of Policy and Campaigns, about her challenges in becoming a driver. She was an inspiration to all. 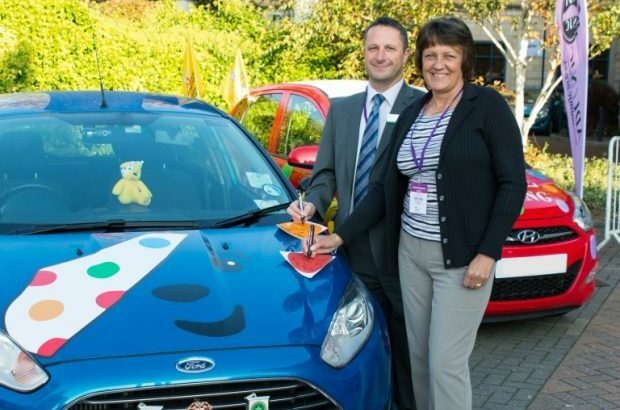 We also welcomed the chance to sign spots for ‘The Big Learner Relay’ for Children in Need. It’s great to hear that many ADIs will be taking part in such a worthy cause; we look forward to following its progress over the coming weeks. As always, the conference was very well-organised with a great turn out of ADIs. Lynne Barrie and her team did an excellent job to make sure everything ran smoothly! Lesley and I came away from the event in the knowledge that our attendance was much appreciated – there are even thoughts about us having a bigger slot next time. All in all, it was an event well worth attending, even if it was on a sunny Sunday morning.